In a previous blog post, we reviewed the basics of connecting the SendSafely Dropzone to Zapier using a simple action (sending an email) for each Dropzone submission. If you are not already familiar with SendSafely's Zapier app, we strongly encourage you to read it before continuing on. In this follow up post, we present a more complex Zap that connects the Dropzone to Slack. We will be adding a Zapier Action that sends a message to a specific Slack Channel every time a new item gets submitted to the Dropzone. SendSafely is excited to announce our newest platform integration - SendSafely for Salesforce Service Cloud. Organizations that use Service Cloud can now securely exchange inbound and outbound files with the added security and peace of mind of SendSafely's end-to-end encryption. The General Data Protection Regulation (GDPR) imposes additional requirements for companies that collect, store, or process personal data of European Union residents. At SendSafely, we understand the importance of keeping your personal data safe, and we are committed to secure and protect it whenever it is stored in our platform. You asked for it, and here it is! We are excited to announce our newest Dropzone features: Support for Encrypted Messages and Sender Email Verification. These features were developed based on feedback we received from several of our current customers. At SendSafely we are genuinely passionate about the problems we try to solve every day, and we're looking for talented software developers to join us. If you are a highly motivated self-starter, and enjoy the flexibility that comes with working remotely, you might be a good fit. 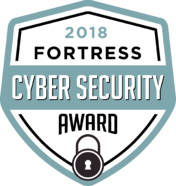 The Business Intelligence Group announced that SendSafely's Dropzone has been named as the Winner of the 2018 Fortress Cyber Security Award in the Encryption category! The Fortress Awards identify and reward the world’s leading companies and products that are working to keep data and electronic assets safe among a growing threat from hackers. Our focus this past year has been on seamlessly integrating our secure file exchange capabilities with the world's most popular operational platforms. We are excited to announce the launch of our SendSafely Zapier App, which allows us to further this goal and keep pace with the ever evolving platform marketplace. Our Sendsafely Zapier App lets customers connect the SendSafely Dropzone to over 1,000 platforms, with more added every day. The Zapier platform acts as an integration middle-man, facilitating automated connections (Triggers and Actions) between independent applications. 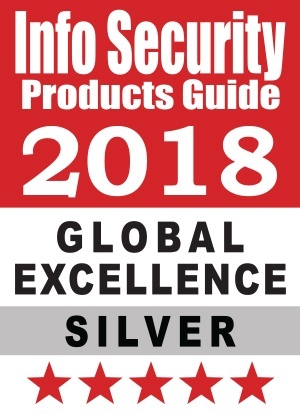 Info Security Products Guide has named the SendSafely Dropzone a Silver Award Winner in the 14th Annual 2018 Info Security PG’s Global Excellence Awards in in the Best Security Service category. These prestigious global awards recognize cybersecurity and information technology vendors with advanced, ground-breaking products, solutions, and services that are helping set the bar higher for others in all areas of security and technologies. We are excited to announce the Version 3 Release of our SendSafely Client API for Windows and Java. This new release includes numerous enhancements and provides full support for new features like SendSafely Workspaces and Contact Groups.